So you've heard a little about Paganism, maybe from a friend or family member, and want to know more. Perhaps you're someone who thinks Paganism might be right for you, but you're not quite sure yet. Let's start by looking at the very first, and most basic question: What is Paganism? The word "Pagan" comes from the Latin paganus, which meant "country-dweller," but today we usually use it in reference to someone who follows a nature-based, polytheistic spiritual path. Some people in the Pagan community practice as part of an established tradition or belief system, but many practice as solitaries. There is no one Pagan organization or individual that speaks for the entire population, and there's no "right" or "wrong" way to be Pagan. Keep in mind that for the purposes of this article, the answer to that question is based upon modern Pagan practice–we’re not going to go into details on the thousands of pre-Christian societies that existed years ago. If we focus on what Paganism means today, we can look at several different aspects of the word’s meaning. In fact, the word "Pagan" actually comes from a Latin root, paganus, which meant "country-dweller," but not necessarily in a good way—it was often used by patrician Romans to describe someone who was a "hick from the sticks." In general, when we say “Pagan” today, we’re referring to someone who follows a spiritual path that is rooted in nature, the cycles of the season, and astronomical markers. Some people call this “earth-based religion.” Also, many people identify as Pagan because they are polytheists–they honor more than just one god–and not necessarily because their belief system is based upon nature. Many individuals in the Pagan community manage to combine these two aspects. So, in general, it’s safe to say that Paganism, in its modern context, can usually be defined as an earth-based and often polytheistic religious structure. Many people are also looking for the answer to the question, “What is Wicca?” Well, Wicca is one of the many thousands of spiritual paths that fall under the heading of Paganism. Not all Pagans are Wiccans, but by definition, with Wicca being an earth-based religion that typically honors both a god and goddess, all Wiccans are Pagans. Be sure to read more about the Differences Between Paganism, Wicca and Witchcraft. Other types of Pagans, in addition to Wiccans, include Druids, Asatruar, Kemetic reconstructionists, Celtic Pagans, and more. Each system has its own unique set of beliefs and practice. Keep in mind that one Celtic Pagan may practice in a way that is completely different than another Celtic Pagan, because there is no universal set of guidelines or rules. 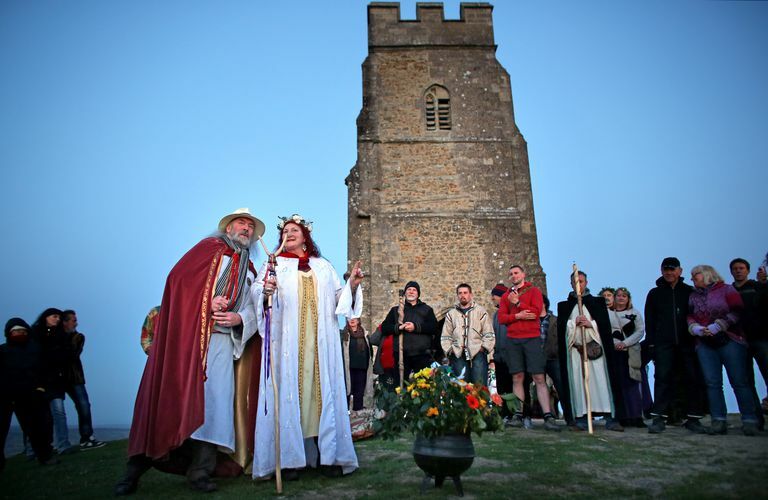 Some people in the Pagan community practice as part of an established tradition or belief system. Those people are often part of a group, a coven, a kindred, a grove, or whatever else they may choose to call their organization. The majority of modern Pagans, however, practice as solitaries–this means their beliefs and practices are highly individualized, and they typically practice alone. Reasons for this are varied–often, people just find they learn better by themselves, some may decide they don’t like the organized structure of a coven or group, and still others practice as solitaries because it’s the only option available. In addition to covens and solitaries, there are also significant amounts of people who, while they usually practice as a solitary, may attend public events with local Pagan groups. It’s not uncommon to see solitary Pagans crawling out of the woodwork at events like Pagan Pride Day, Pagan Unity Festivals, and so on. The Pagan community is vast and varied, and it's important—especially for new people—to recognize that there is no one Pagan organization or individual that speaks for the entire population. While groups tend to come and go, with names that imply some sort of unity and general oversight, the fact is that organizing Pagans is a bit like herding cats. It's impossible to get everyone to agree on everything, because there are so many different sets of beliefs and standards that fall under the umbrella term of Paganism. I can easily have a “Pagan conversation” in San Francisco, Melbourne, or London without batting an eye. Many of us have watched the same movies and listened to the same pieces of music; there are some common themes within Paganism worldwide which is why I think there’s a Worldwide Pagan Community (or Greater Pagandom as I like to call it). Many Pagans–and certainly, there will be some exceptions–accept the use of magic as part of spiritual growth. Whether that magic is enabled via prayer, spellwork, or ritual, in general there’s an acceptance that magic is a useful skill set to have. Guidelines as far as what is acceptable in magical practice will vary from one tradition to another. Most Pagans–of all different paths–share a belief in the spirit world, of polarity between the male and female, of the existence of the Divine in some form or other, and in the concept of personal responsibilities. Finally, you’ll find that most people in the Pagan community are accepting of other religious beliefs, and not just of other Pagan belief systems. Many people who are now Pagan were formerly something else, and nearly all of us have family members who are not Pagan. Pagans, in general, don’t hate Christians or Christianity, and most of us try to show other religions the same level of respect that we want for ourselves and our beliefs. Are There Rules in Pagan Religions Like Wicca? How Can "Peaceful" Pagans Call Themselves Warriors? How Do Pagans Feel About Homosexuality? What Does Eclectic Wicca Mean? It May Not Be What You Think!